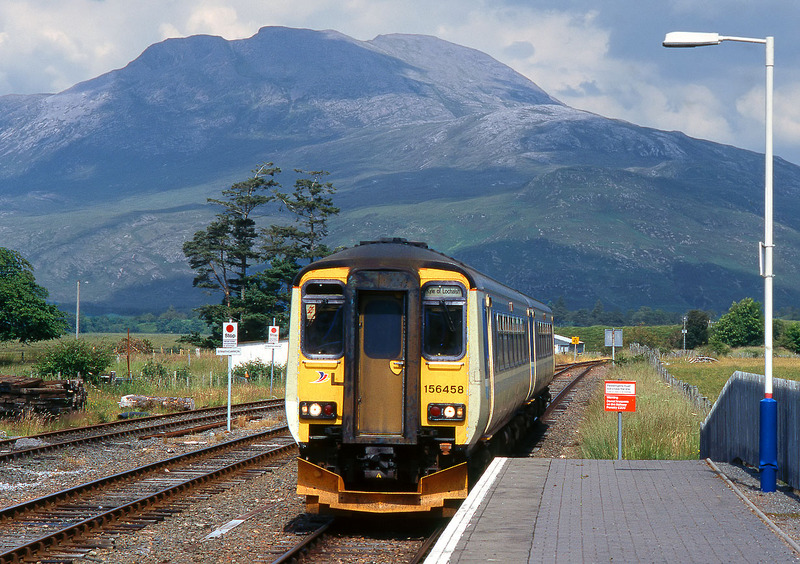 With the dramatic Faur Tholl (2,976 ft) rising up in the background, 156458 enters Strathcarron station on 22 July 1997 with the 10:45 Inverness to Kyle of Lochalsh ScotRail service. Just three trains a day in each direction called at this remote Scottish station in 1997. This has now been increased to four.